Lisa Grimm, Taxonomy Manager at Amazon and co-author of the DAM salary survey analysis, has recently given a short interview for Henry Stewart on LinkedIn ahead of this year’s DAM San Diego conference. 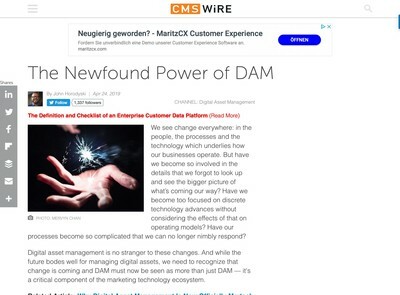 The article presents her responses on three main issues: how can you ensure your DAM governance model remains active and relevant; what is your ongoing biggest challenge; and what is the one tip for a successful DAM launch/implementation. Lisa’s no-nonsense advice provides both solid guidance and a glimpse into the real-world challenges faced by one of the world’s largest corporations. DAM vendor Bynder have recently announced the discontinuation of their free DAM solution Orbit. Nobody likes to forecast failure, yet as my co-contributor Ralph Windsor has highlighted before, the DAM software market doesn’t scale well – something that other vendors such as Widen may have also realised with the termination of their SmartImage offering. 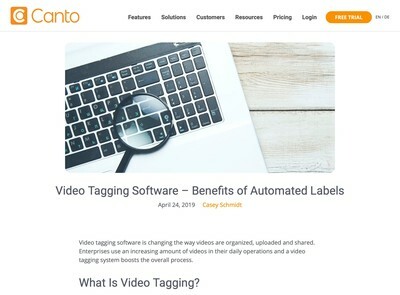 Bynder’s free solution also received less than glowing reports when it was initially released, and their acquisition of WebDAM from Shutterstock earlier this year may have been the trigger for a change in their priorities. My co-contributor Ralph Windsor has published the second instalment of his two-part series on DAM consultants. Following on from the importance of experience in part one, this article focuses on the expertise a consultant needs to have regarding the management of the full lifecycle of a DAM initiative. The concept of a lifecycle is dissected and explained, as is the wide range of analytical expertise required, including ROI assessment, auditing existing provisions, and devising risk management strategies. The skills required to manage the implementation stages (pre, actual and post) are also examined, concluding with a summary of how experience is both garnered and applied across the various stages. 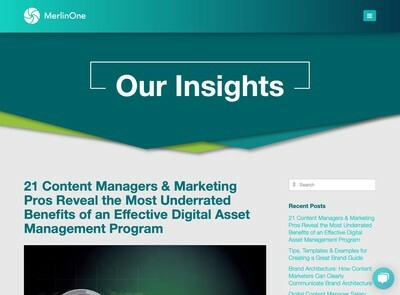 John Horodyski, Executive with Optimity Advisors has just published a detailed and insightful study of the role of trust within digital asset environments and workflows. In a time when fake, misattributed or misquoted content is rife, a thorough investigation into the factors that encourage or discourage trust in digital assets is long overdue. Whether it’s brand identity, or tracking the true provenance or rightful custodian of a perceived-to-be valuable digital asset, the fragile voice of integrity and authenticity often goes unheard amongst the ever-increasing buzz of a cross-pollinated digital world. 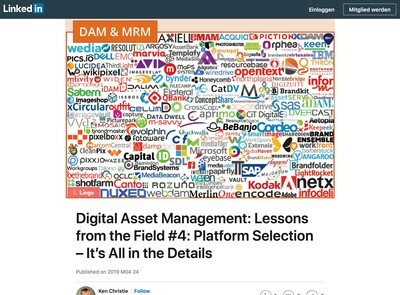 John examines how having a DAM is a step in the right direction to gaining trust by taking control of your digital assets. Leah Hammes of McCormick & Company has shared some of her lessons for building DAM programs, generating awareness, and training staff teams to understand the purpose of a DAM system and how to leverage its potential. The article covers two messages that Leah and her team prepared in order to sell the DAM internally: one for those using it, and one for the stakeholders. Leah breaks up the training process into three key phases: overview or ‘on-boarding’, uploading, and feature training. Although the podcast is aimed at Widen’s platform, the guidance within is relevant for any DAM system and its user groups.